There may be logic to uniting FanDuel and DraftKings for backers that include Fox, Google, Comcast and KKR. The legal-defense synergies alone sound promising, although a deal could ignite new antitrust concerns. State lawmakers also can curb one big site as easily as two. 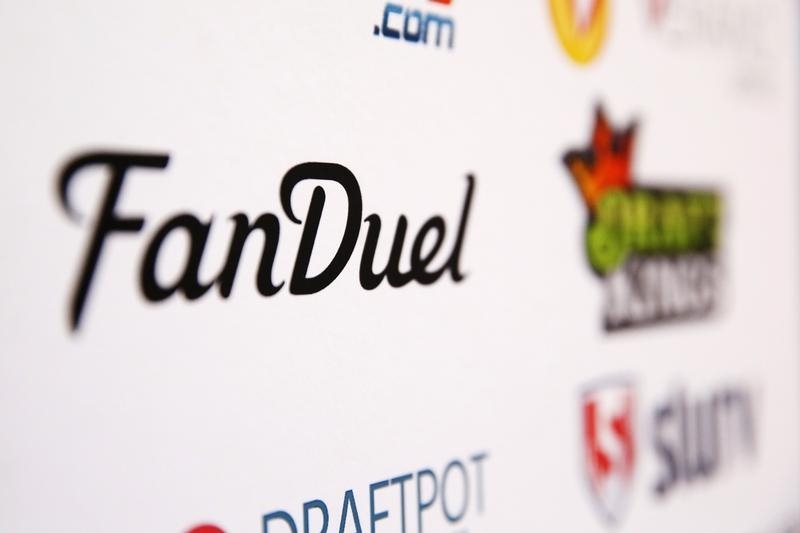 A FanDuel logo in New York November 13, 2015. Daily fantasy-sports startups DraftKings and FanDuel are in early-stage talks to merge, Reuters reported on June 13, citing unnamed people familiar with the matter. Investors in DraftKings include Twenty-First Century Fox and the Dallas Cowboys while FanDuel counts Google and Comcast among its backers. The two companies have raised nearly $800 million collectively. Bloomberg News first reported the merger discussions.